Hi there, lovely to meet you. I am Luca, Founder of Hilo & Ginger, specialized in fine art wedding, editorial and portrait photography, creating romantic & timeless analog and digital photographs. I capture bright and love-filled images, preserving beauty, simplicity and emotion in an unintrusive way. I am based in New York City, and originally from Vienna/Austria. I shoot weddings in the United States, Europe & worldwide. My passion is visual storytelling. Check out all these amazing Love Stories. 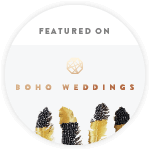 Follow our Journal to learn more about the latest weddings, couples shoots and other stories. No couple or family are the same, so how could I possibly put everyone in to the same box when it comes to their wedding?! Big, small, local church or hiking up Table Top Mountain, every one is different which I love. I want to capture your love.